The Federal Home Buyers Plan allows first time home buyers to withdraw up to $25,000 for a single and $50,000 for a couple from their RRSP for the purpose of buying or building a qualifying home. The primary benefits are that the RRSP issuer will not withhold tax on the amount nor will you have to claim the amount as income. 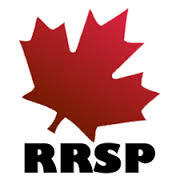 The amount must be repaid to the RRSP within 15 years with a minimum annual payment of 1/15th of the amount withdrawn. If a repayment is not made for a given year the minimum repayment is included as taxable income for that year. 1) You have to make your withdrawal request in the same year you wish to participate in the Home Buyers Plan. You cannot have participated in the plan in previous years. 2) You have to be a resident of Canada. 3) You have to enter into a written agreement to buy or build a qualifying home. 4) You can withdraw a total of $25,000 single and $50,000 for a couple. Multiple withdrawals are allowed. Each of you and your Spouse can participate in the Plan and withdraw $25,000 from your own RRSPs. 5) You have to be considered a First Time Home Buyer. Basically this means that you and your spouse or common law partner cannot have owned a home as your principal residence in the last 5 years. 6)You have to occupy the home as your principal residence within 1 year after buying or building it. 7) The funds must have been in an RRSP for 90 days or more. Apartment in a Duplex, Triplex, Fourplex or apartment building. A Share in a Cooperative Housing Corporation, provided the share entitles you to posses, and gives an equity stake in, a housing unit..